View of “Times Square Show,” 1980, West 41st Street, New York. 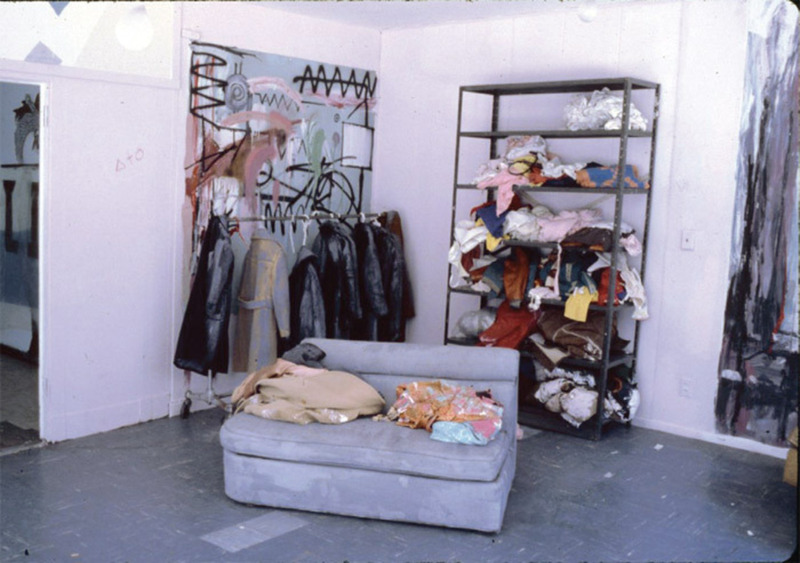 Left wall: Jean-Michel Basquiat, untitled, 1980. Photo: Ted Stamm. Were we to have the beer-stained napkin upon which was scrawled the brainstorming list of the participants in, say, the Salon des Refusés or the first Impressionist exhibition (perhaps we do, but I’ve forgotten my Rewald), imagine how precious such scraps would be. It may yet seem a stretch to equate the Times Square Show of the spring and summer of 1980 with these epochal undertakingsthough posterity, such as it is a little more than thirty years on, appears to be taking a bullish view. But it seems to me that the ephemera generated by this sprawling Pictures-era conclave, from handbills to broadsides to stray snapshots and videos, are infused with the same talismanic quality.